Finally, you can enjoy wireless freedom by upgrading your favorite devices with the RXT's Bluetooth transmission and receiver. 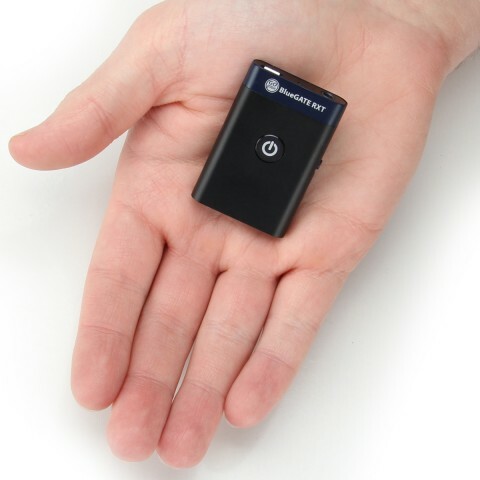 Housing Bluetooth version 2.1 and A2DP / AVRCP protocols, the RXT allows for wireless streaming up to 33ft away! 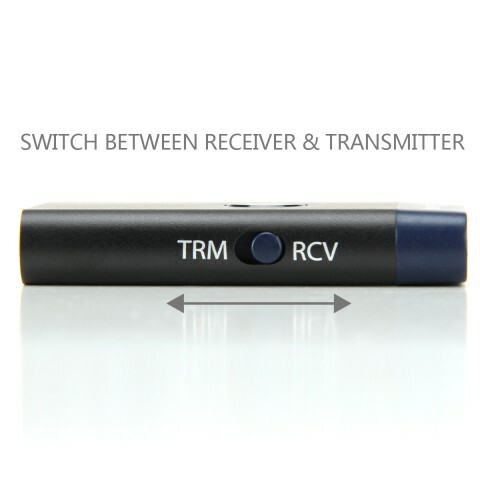 Switch easily between transmitter and receiver by sliding the button located on the side of the device. Position the RXT in your house , car , backyard or office by using the hassle-free velco sticky mounts. 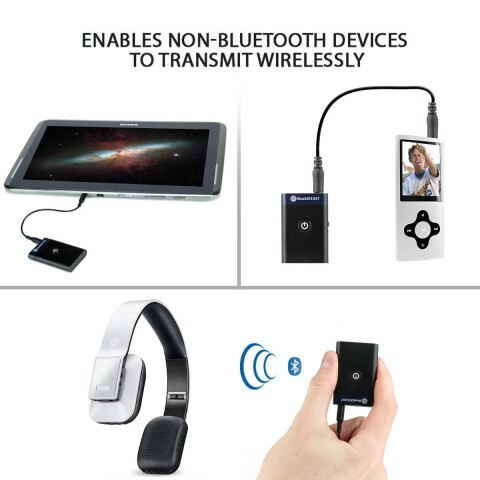 The receiver mode of the RXT equips your car, home, or audio device with Bluetooth capability to wirelessly stream audio from your phone, tablet, or computer. 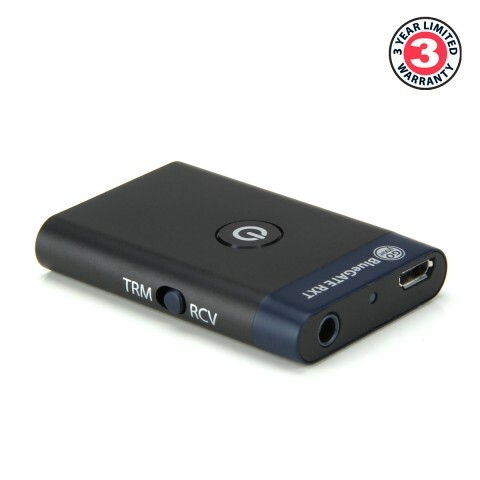 Simply connect the RXT to the AUX line-in port or RCA ports of your non-Bluetooth device, push the power button and it will automatically go into pairing mode. Auto pairing occurs as a receiver for quick connections after initial setup. 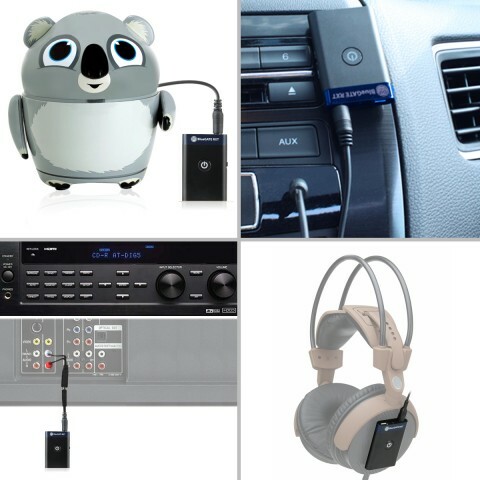 Plug Into: Car Stereo , Headphones , Home Entertainment Stereo Systems , Portable Speakers & More! 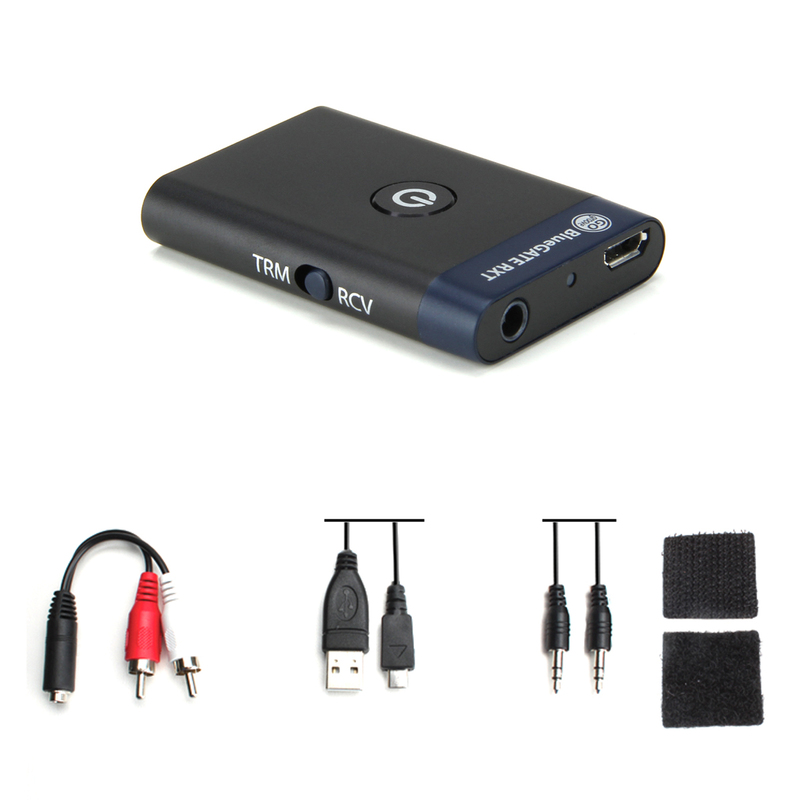 As a transmitter, the RXT allows wireless Bluetooth streaming from virtually any audio source that isn't Bluetooth compatible. Connect the RXT to your non-Bluetooth device via the included 3.5mm AUX cable and pair with your tablet or smartphone to stream audio wirelessly. 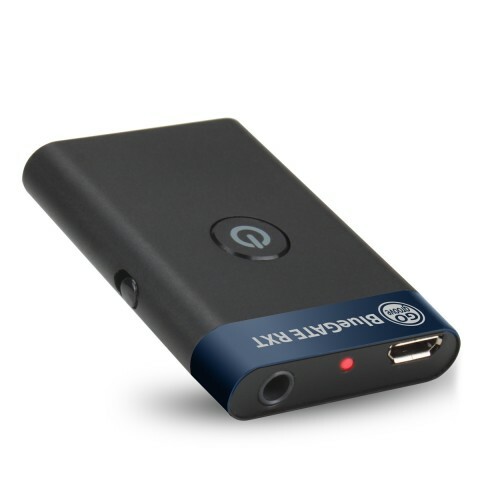 Plug Into: MP3 Players , Laptops , Desktops , HDTV's & More! 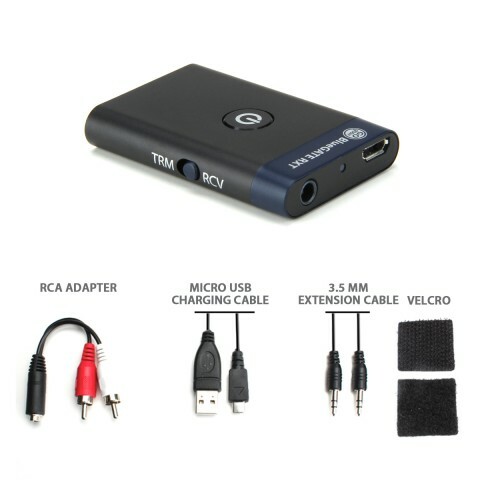 The included 3.5mm and RCA cables make it possible to connect the RXT to a wide variety of devices. Use the RCA cable to integrate non-Bluetooth devices such as large speakers, sound bars, and stereo systems. The 3.5mm extension cable can be used to achieve ideal positioning and signal transmission. 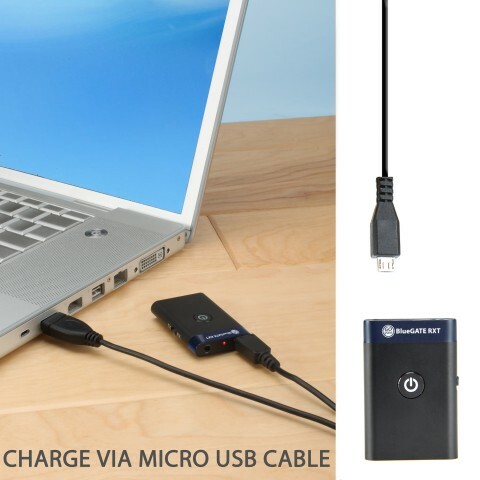 Charge by connecting the Micro USB cable into any USB port or adapter. The RXT will fully charge in 2 hours and lasts between 6 and 10 hours depending on which mode you have chosen.